The city of Memphis, Tennessee, is known for many things – Elvis, BBQ, Fed Ex and Coleman Taylor Transmissions. 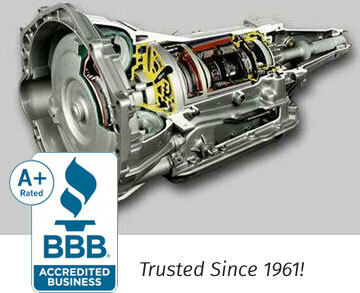 In 1961, Larry Coleman and his brother-in-law, Bill Taylor, opened a transmission shop and started a 58+ Year history of growth and development. The company’s roots were in racing, Coleman said. Both he and his partner had drag-racing cars. Later in 1986, Alan Kulwicki won Rookie of the Year honors on the Winston Cup circuit driving the Coleman-Taylor owned T-Bird on the Super Speedways at Daytona, Talladega, Charlotte, and Atlanta. Coleman-Taylor hasn’t been involved in the racing circuit since 1988, but still maintains a strong interest in the sport. From the beginning, it has been the company policy to hire employees without any experience and train them from the ground up. Actually, he said that 95% of the people come with no previous experience in the transmission industry. “We train them all the way, which has worked out very well. Coleman Taylor has 150 employees with 1/3 having over 20 years’ experience with the company. Nick Coleman started with the company in 1983 where he worked his way up the ranks. He currently manages all retail operations as serves as President. The growth of the company has been steady over the years. One of the reasons for the sustained growth and expansion very well may be the company motto, which was instituted from the very beginning – “Whatever it takes for Customer Satisfaction. Always give more than you promise”. GM 4L60E, GM 4L80E, GM 4T65E, AODE / Ford 4R70W, Ford 4R75E, Ford 5R55E, Ford AX4N, Chrysler A604, Honda 5-Speed, Toyota U241, Ford 5R110 Torqshift, Ford 4R75W, GM 6L80E, Ford 6R60, Ford 6R75, Ford 6R80, CVT transmissions and Nissan CVT’s.